THIS EQUITY NOTE COULD BE A DOLLAR KILLER BACKED BY GOLD.GOLD CAN SKYROCKET TO THOUSANDS OF DOLLARS INSTEAD OF JUST $1,600 LIKE NOW.THIS NOTE WILL BE USED BY COUNTRIES TO BACK THEIR CURRENCY AND GET AWAY FROM THE DOLLAR. According to Jim Willie, gold, far from being a barbarous relic, is about to resume its historical role as the main pillar of the world’s monetary system. China, Russia and Germany are looking forward to the day when the dollar loses its primacy and a new system is crafted to restore stability, and to facilitate world trade. Jim has numerous highly placed sources around the world’s financial system. They’re all telling him that a new trading system will be implemented as soon as the dollar hits its nadir. And when it comes to storing your gold, Jim believes there’s only one place you should consider: Hong Kong. He feels that HK’s business ethics are the world’s highest, and that Mainland China is intent on keeping it free and prosperous. Topic: Rick and Jim discuss the implosion of the Western banking system, Chinese gold-based world trade notes, a gold-back global currency, Nazi passports, and a host of other fascinating subjects. Moscow announced that it has terminated an agreement with Washington to cooperate in law and drug enforcement, continuing the trend of deteriorating diplomatic relations. Clinton’s comment goes far towards explaining the rift in Russia-US relations: Russia has largely escaped from the clutches of its post-Soviet depression, and is now has a dynamic economy with a growing middle class and huge natural resources, which no longer needs handouts from Washington.The Foreign Ministry said that Russian civil society has become fully mature, and did not need any "external direction" from USAID, which was also blamed for attempting to manipulate Russia’s internal political processes. Is Washington, feeling a bit like a jaded partner in a tumultuous relationship, seeking to break off the honeymoon in dramatic fashion? Last year, the decision by a group of US legislators to implement the so-called ‘Magnitsky Act’ against specific Russian officials – who the US Senators believe should be held accountable in the death of Sergey Magnitsky, an accountant with Hermitage Capital who died in prison in 2009 amidst a tax evasion investigation – has triggered a diplomatic domino effect between the two countries.Shortly after the passage of the Magnitsky Act, Russian President Vladimir Putin signed the Dima Yakovlev bill, which bans American citizens from adopting Russian orphans.In an interview with US media, Prime Minister Medvedev emphasized that Russia’s decision to introduce the adoption legislation had no connection with US legislation against Russian citizens.“This law expresses concerns of the Russian parliament, the Russian State Duma and the Federal Council over destiny of our children… Therefore, despite the fact that many saw it as targeting individual American citizens who want to adopt Russian children, that’s certainly not the case,” Medvedev told CNN.The US also recently said it would end its cooperation in the Russian-American Bilateral Presidential Commission on Civil Society. Syria and Iran issued threats to retaliate against Israel for its alleged strike on a chemical weapons facility near Damascus Tuesday night.In Iran, the government-run PressTV quoted Deputy Foreign Minister Hossein Amir Abdollahian Thursday as saying the raid on Syria will have significant implications for Israel.He called upon United Nations Secretary General Ban Ki-Moon to take operative steps against Israel following the attack, and suggested to the Israeli leadership "not to place too much trust on the Patriot batteries that are stationed in the area. "Syria is issuing even more explicit threats. Syria's Ambassador in Lebanon, Ali Abdul-Karim Ali, told Hizbullah's al-Ahd news website that Damascus ‘‘has the option and the capacity to surprise in retaliation.’’He said that he cannot predict when the response will occur, and said that the authorized elements will take care of preparations for it.U.S. officials confirmed that Israel launched a rare airstrike inside Syria on Wednesday.Hizbullah condemned the attack as ‘‘barbaric aggression’’ and Syrian ally Russia said it appeared to be an unprovoked attack on a sovereign nation.Hizbullah said it ‘‘expresses full solidarity with Syria’s command, army and people.’’ There have been reports that the target was a convoy believed to be carrying anti-aircraft weapons bound for Hizbullah, but Hizbullah did not mention any convoy in the statement. It said the strike aimed to prevent Arab and Muslim forces from developing their military capabilities.The Syrian military denied the existence of any weapons shipment and said the target was a scientific research facility in the area of Jamraya, northwest of Damascus and about 15 kilometers from the Lebanese border.Iran’s Foreign Minister Ali Akbar Salehi condemned the airstrike on state television, calling it a clear violation of Syria’s sovereignty.Russia said Moscow is taking ‘‘urgent measures to clarify the situation in all its details.’’‘‘If this information is confirmed, we have a case of unprovoked attacks on targets in the territory of a sovereign state, which grossly violates the U.N. Charter and is unacceptable,’’ Russia’s Foreign Ministry said in a statement. ‘‘Whatever the motives, this is not justified.’'Iran's foreign minister on Thursday condemned what he termed Israel's "brutal aggression" against Syria. "There is no doubt that this aggression is part of a Western and Zionist strategy to push aside the success of the Syrian people and government to return to stability and security," Ali Akbar Salehi said in a statement, as quoted by AFP. It underscores the "alignment of terrorist groups with the Zionists' objectives," he added, using the Syrian regime's stock word for describing rebels fighting to oust President Bashar al-Assad.On Wednesday, the Syrian army accused Israel of launching a strike on a military research center at Jamraya, near Damascus. Syrian rebels disputed the claim, taking responsibility for the attack.Iran is Syria's principal ally, along with Russia and China, and accuses Western states and certain Arab countries of arming the rebels. The convoy reportedly held weapons destined for Hizbullah. There have been speculations that the strike came as a warning to Demascus not to arm the Lebanese terror group.According to a report in The New York Times late on Wednesday, Israel had informed the United States of its plans to attack the target prior to launching the airstrike.One official, speaking on condition of anonymity, told the Times that the convoy was transporting SA-17 antiaircraft weapons that could obstruct Israel's ability to fly reconnaissance flights over Lebanon. Iran has informed the International Atomic Energy Agency (IAEA) that it planned to speed up its uranium enrichment program, using faster and more advanced centrifuges. A report by Reuters said that the news agency had received a document sent by IAEA officials which said that Tehran planned to upgrade enrichment equipment at its Natanz plant. According to the report, Iran informed the IAEA of its intentions last week. 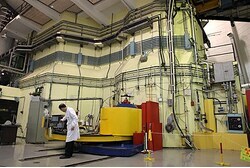 The IAEA document, quoting a communication the agency had received from Iran, lays out details of the upgrade program, Reuters said.According to a report in the Associated Press, the letter from Iran mentions a centrifuge model cale IR2m, which would be able to enrich uranium as much as three times faster than equipment Iran already has. Israel Radio quoted a Defense Ministry source as saying that Israel was “concerned” over the development, because it meant that Iran would have more, and better quality, uranium which could be used to build nuclear bombs more quickly.Meanwhile, Catherine Ashton, the European Union's foreign policy chief, said that she was “confident” that talks between Iran and the West on Tehran's nuclear program would resume soon.Ashton made the comments at a meeting of European foreign ministers. Last week, a spokesperson for Ashton said that it appeared that Iran was doing everything it could do delay such talks. When asked by a reporter how the West could negotiate with Tehran to convince it to halt its nuclear program when Iran refused to even talk, Ashton said "I am confident there will be a meeting soon." She gave no further details. As reports and analyses of what was said to be an Israeli attack on advanced Russian missiles dispatched from Syria to Hizbullah terrorist bases along the border with Lebanon, Syrian rebels said that Hizbullah had already received numerous advanced weapons from Syria – including chemical weapons. A report in a Saudi newspaper quoted Syrian rebel groups as saying that Syria had already last year transferred chemical weapons to Hizbullah.Israel has said that transfer of such weapons would be a “red line” which Jerusalem could not ignore, essentially a declaration of war by Syria and Hizbullah against Israel.The report in the Al-Wattan newspaper quoted a rebel spokesperson as saying that the transfer took place over a 40 day period in February and March 2012. The shipment included at least two tons of mustard gas, along long range missiles that could reach within 300 kilometers into Israel that were capable of carrying chemical weapons.On Wednesday, western media reported that Israel had attacked a convoy carrying Russian-made SA-17 anti-aircraft missiles from Syria to Hizbullah terrorist bases along the border with Lebanon. The US later said that Israel had confirmed this. But in a statement, Syria denied that Israel had struck the missiles, but that it had hit a military research center in a Damascus suburb. Israel has yet to make a public statement on either allegation.Reports in the American media said that the convoy that was targeted by Israel carried conventional weapons, not chemical weapons. The Washington Post quoted an unnamed American government official as saying that there was “no connection” between Israel's declared intolerance of Syrian chemical weapons and Wednesday's attack. AMMAN (Reuters) - The force of the dawn attack on a Syrian military site outside Damascus on Wednesday shook the ground, waking nearby residents from their slumber with up to a dozen blasts, two sources in the area said. "We were sleeping. Then we started hearing rockets hitting the complex and the ground started shaking and we ran into the basement," said a woman who lives adjacent to the sprawling Jamraya site north-west of the Syrian capital.The resident, who declined to be named because of the sensitivity over a reported strike in the area by Israel on Wednesday morning, said she could not tell whether the explosions which woke her were the result of an aerial attack.Details of the strike remain sketchy and, in parts, contradictory. Syria said Israeli warplanes, flying low to avoid detection by radar, crossed into its airspace from Lebanon and struck the Jamraya military research center.But diplomats, Syrian rebels and regional security sources said the planes hit a weapons convoy heading from Syria to Lebanon, apparently destined for President Bashar al-Assad's ally Hezbollah, and the rebels said they - not Israel - hit Jamraya with mortars.Another source who has a relative working inside Jamraya reported that a building inside the complex had been cordoned off on Wednesday employees believed it had been hit. Flames could be seen rising from the area after the attack, they said. "It appears that there were about a dozen rockets that appeared to hit one building in the complex," the source, who also asked not to be identified, told Reuters. "The facility is closed today," he added.Israeli newspapers on Thursday quoted foreign media for reports on the strike. Journalists in Israel are required to submit articles on security and military issues to the censor, which has the power to block any publication of material it deems could compromise state security. The Jamraya research center is in the town of Jamraya, 8 miles from the border with Lebanon, surrounded by heavily militarized areas including several army bases and artillery sites on the Qasioun mountain range, which overlooks Damascus proper 3 miles to the east.Diplomats in the Middle East familiar with Jamraya described it as a crucial element of Syria's missile program, and say it also has a chemical weapons facility. There have been no suggestions any chemical weapons were hit in Wednesday's strike.People who visited Jamraya recently say it is surrounded by walls 3 to 4 meters high and guarded by plain-clothed agents. They say that recently shabbiha militia forces loyal to Assad deployed around it, and tanks moved into a residential housing section of the facility.Asked about rebel attacks in the area, they said there had been some attempts to target the tanks with mortars but were not aware of any rebel activity in the last few days. CAIRO (AP) — Representatives from across Egypt's political spectrum held a rare meeting to denounce violence following a week of rioting that left up to 60 people dead nationwide.Egypt's Muslim Brotherhood, ultraconservative Salafis, and their rival liberal parties pledged on Thursday to condemn the instigation of violence, prohibit it and differentiate between a "political act and sabotage. "It was the first meeting between the opposition National Salvation Front and the Muslim Brotherhood since the Front was formed in November.Violence escalated after the opposition called for protests to mark the second anniversary of the Jan. 25, 2011 uprising, which toppled the rule of longtime authoritarian president Hosni Mubarak. Opposition demands the new administration set up a nationally unified government and rewrite controversial parts of the constitution. MAP 4.3 2013/01/31 08:27:29 -7.271 144.084 33.3 NEAR SOUTH COAST OF NEW GUINEA, P.N.G. 27 And he( THE ROMAN,EU PRESIDENT) shall confirm the covenant (PEACE TREATY) with many for one week:(1X7=7 YEARS) and in the midst of the week he shall cause the sacrifice and the oblation to cease,(3 1/2 yrs in TEMPLE SACRIFICES STOPPED) and for the overspreading of abominations he shall make it desolate, even until the consummation, and that determined shall be poured upon the desolate. The United Nations says Israel must withdraw all of its citizens from the regions of Judea and Samaria. The recommendation came in a report issued Thursday by the U.N. Human Rights Council, which has a history of passing numerous biased resolutions condemning Israel for various alleged ‘crimes’ each year. In response, Foreign Ministry spokesman Yigal Palmor said, “The Human Rights Council has sadly distinguished itself by its systemically one-sided and biased approach towards Israel.“This latest report is yet another reminder of that,” he added.At least half a million Israelis live in Judea, Samaria and areas of Jerusalem restored to the capital during the 1967 Six Day War. ADAIRSVILLE, Ga. (AP) - A massive storm system raking the Southeast hammered a Georgia town on Wednesday, overturning cars on an interstate and killing at least one person there, authorities said. Bartow County Fire Chief Craig Millsap said the body was found in the storm damage but did not have further details on how the person died. The same system also was blamed for a death in Tennessee. Most dangerous were powerful wind gusts that in several places were powerful enough to overturn tractor-trailers. There were reports that people were trapped in homes and businesses, and television footage showed large sections of a sprawling manufacturing plant had been destroyed.Truck driver Travis Richardson was on the road watching the storm come right at him. "The trucks and cars flying over the truck, it was unbelievable. Nothing like this I've ever seen in my life," Richardson said.Tornado sirens sounded, warning residents to find cover fast. "I had a mattress over me in the bathtub. I was worried for my family," on Adairsville, Ga. resident said.Footage also showed a funnel cloud roaring through the downtown area of Adairsville, about 60 miles northwest of Atlanta, flipping cars and demolishing a home. Interstate 75 was closed in both directions after the storm flipped cars onto their roofs and tossed them onto the grassy shoulder.At least two tornadoes were confirmed and several more suspected, and conditions remained ripe for more. Since Tuesday, the system had caused damage across a swath from Missouri to Georgia.In recent days, people in the South and Midwest had enjoyed unseasonably balmy temperatures in the 60s and 70s. A system pulling warm weather from the Gulf of Mexico was colliding with a cold front moving in from the west, creating volatility. Dow -12 points at 4 minutes of trading today. Dow -31 points at low today. GOLD opens at $1,670.40.OIL opens at $97.83 today. Dow -49 points at low today so far. Dow -49 points at low today. Dow +20 points at high today. 3 A fire devoureth before them;(ATOMIC BOMB) and behind them a flame burneth: the land is as the garden of Eden before them, and behind them a desolate wilderness; yea, and nothing shall escape them. ISRAEL IS GOING AFTER SYRIAN CHEMICAL RESEARCH SITES.THEY ARE GOING AFTER THE SYRIAN CHEMICAL WEAPONS SITES.NOW WE KNOW FOR SURE ISRAEL BOMBED IRANS SITE ALSO LAST WEEK.SINCE THAT COWARD OBAMA WON'T BOMB MUSLIMS ,ISRAEL SURE WILL.GOD GAVE ISRAEL THEM 400 NUKES TO PROTECT THEMSELVES.THEIR STARTING TO TAKE ACTION ON THEIR OWN.WAY TO GO ISRAEL.GET THE JOB DONE. Syrian state TV reports that Israeli warplanes bombed a military research site near Damascus in the early hours of Wednesday. 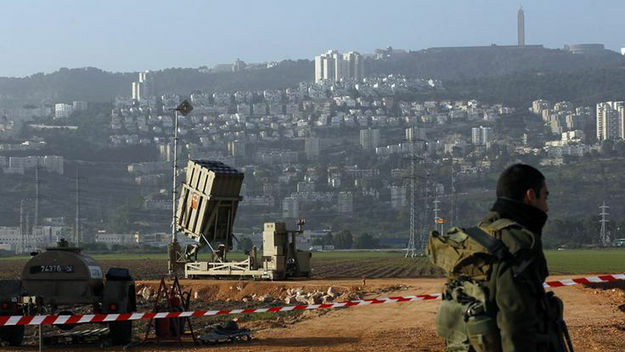 The reports of the strike came after a day of unverified reports that Israeli forces had attacked a convoy on the Syrian border with Lebanon last night, following Israel's voicing of concerns that weapons from Syria may reach its enemies in Lebanon. A Western diplomat and regional security sources told news wires that the convoy was attacked on Tuesday night.The Lebanese army also reported a heavy presence of Israeli jets over its territory throughout the night. However a Lebanese security official said any attack did not take place on Lebanese territory. Their target was a shipment of SA-17 anti-aircraft missiles, which target planes, and which sources said would be strategically "game-changing" in the hands of Hezbollah.In the run-up to the reported strike, Israeli officials had issued public warnings about missiles reaching the Lebanese militant group Hezbollah, from Syria. Part of its new "Iron Dome" rocket defence system (pictured above) was also moved to the northern city of Haifa early this week - a move that officials said was routine - and Israel also echoed concerns from the US about Syria's presumed chemical weapons arsenal.The four sources did not want to be named, due to the sensitivity of the situation, and information about what the vehicles may have been carrying, what forces were used or where precisely the attack happened has yet to be uncovered.But they were adamant that the attack took place. "There was definitely a hit in the border area," one security source said. A Western diplomat in the region who asked about the strike said "something has happened", without elaborating. A Syrian activist also said that she had heard of a strike in southern Syria from opposition networks around the country, but could not confirm it. On Sunday Israeli Vice Premier Silvan Shalom said that Israel could be forced to intervene if there was any sign that chemical weapons would be used by either factions in Syria.But Israeli sources also said that Syria's advanced "conventional" warfare weapons would represent as much of a threat to Israel as its chemical weapons if they fell into the hands of Israel's enemies.Israel considers it "unacceptable" for the missiles to be in the hands of Hezbollah, as it would limit its ability to fly planes over Lebanon, Shashank Joshi, Research Fellow on Middle East for Rusi told Channel 4 News. "It does explain why there was a flurry of cabinet meetings in Israel recently, which is unusual straight after the elections," said Mr Joshi. "Clearly they must have seen this missile system being moved. They could see something happening and decided to stop it." When asked about any attack on Tuesday night, Mr Shalom would not confirm or deny it. Whether the strike took place within Syrian territory, or over the border in Lebanon, will affect how neighbouring countries respond.Israeli jets regularly enter Lebanese airspace, but its forces have been more discreet about Syrian incursions.A Lebanese security source denied any attack had happened within Lebanese territory to a Reuters reporter. However a strike on Syria could have big implications: Iran - Israel's arch-foe and one of Syrian President Assad's few allies - said on Saturday it would consider any attack on Syria as an attack on itself.As yet there has been official statement on the reported strike. But it is in the interest of all the countries involved to deny, says Mr Joshi. "Israel has no incentive to make a big deal out of this," he told Channel 4 News. "They have presumably achieved what they needed to. And Syrians don't want to make a big deal out of it and then be forced to retaliate." It was also a warning that Israel would again send its bombers to destroy chemical weapons or nerve gas to prevent them reaching the hands of Hizballah or any other terrorist groups.Israeli warplanes carried out overnight sorties up until Wednesday, Jan. 30 against missile and arms convoys standing ready in southern Syria for transfer to Hizballah in Lebanon, according to Western sources.. debkafile’s military sources report that the consignments were destroyed. The Lebanese army reported the heavy presence of an approximate 12 Israeli jets over its territory during the night up until 0200 hours Wednesday. Our sources report that it was suspected in Israel that Syria and Hizballah would take advantage of the rainy and overcast weather conditions in the last 24 hours to push advance weapons systems across the border from Syria into Lebanon.The operation aimed at giving teeth to Israel’s longstanding threat ever since 2011 to hit military targets in Syria if necessary to prevent the handover of those sophisticated missiles to Hizballah. Lebanese news agencies claimed that the Lebanese Army spotted the Israeli warplanes immediately and closely monitored their flight path.According to a statement by the Lebanese army, four Israeli Air Force planes entered Lebanese air space at 4:30 p.m. These planes were replaced four hours later by another group of planes. At 2 a.m. the second group was replaced by more Israeli airplanes, and the mission finally came to an end at 7:55 a.m.
"There was definitely a hit in the border area," the source told Reuters.The IDF has declined to comment and the validity of the reports cannot be verified however they are of particular significance in light of Israeli concern over chemical weapons in Syria and Lebanon.IAF Chief General Amir Eshel warned recently of chemical weapons getting into the hands of terrorists, saying, “With the impending collapse of the Syrian regime, Israel may find itself susceptible to multi-faceted terrorism, from knife to nuke. 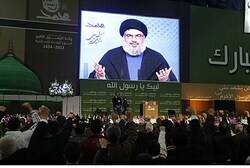 Weapons of mass destruction may fall into the hands of Hizbullah, and the region has become highly sensitive. The IAF will cooperate with MI, Shin Bet and Mossad to thwart any attempts.”On Sunday, Israel deployed two Iron Dome batteries in the north of the country, but the IDF refused to clarify if the deployment was part of routine tests or a necessary precaution to possible threats of Lebanese and Syrian weapons aimed at Israel. 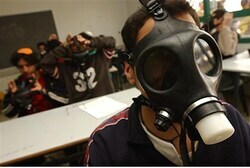 Israelis order gas masks as experts warn Syrian chemical weapons could fall into Hizbullah’s hands. The number of Israelis ordering gas masks has more than doubled in recent days, the Post Office reports. The increase comes in the wake of warnings from experts that Syria’s chemical weapons could fall into Hizbullah’s hands.Prime Minister Binyamin Netanyahu said Sunday that the defense establishment is following the latest deterioration in stability in Syria with concern. 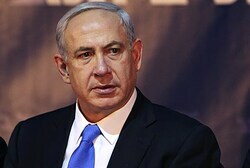 In particular, it is monitoring Syria's chemical weapons, he said.“We must look at our surroundings, at what is happening in Iran and its proxies, what is happening on other fronts, with the deadly weapons in Syria… The Middle East is not waiting for the outcome of the elections and does not pause while the government is assembled,” Netanyahu told the Cabinet this week.Since his statements were publicized 4,000 gas masks have been distributed, compared to an average of 1,400 per week. In total, 4.7 million gas masks have been distributed. The total population of Israel is nearly 8 million.One of the latest battlegrounds in Syria is the village of As-Safira, which is home to one of at least five chemical weapons storage facilities. Newly elected MK, formerly arrested for praying on the Temple Mount, takes advantage of his new parliamentary immunity. Moshe Feiglin, newly elected as an MK with the Likud party, ascended the Temple Mount on Wednesday. Feiglin visits the holy site on the nineteenth of every Hebrew month.For the first time, he did so without fear of arrest. 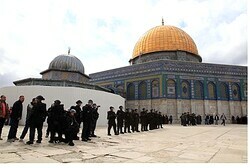 Feiglin has formerly been detained at the site for allegedly praying or bowing, but he now enjoys parliamentary immunity.Jews are forbidden to pray or show outward signs of worship at the holy site due to fears that doing so would anger Muslims praying at the Al-Aqsa mosque on the mount. Police who arrested Feiglin last month for bowing said he would face charges, but so far no charges have been filed.The Association of Temple Mount movements congratulated Feiglin, and praised him “for choosing to ascend to the Temple Mount as a first step after his election.” The group added, “We hope the topic of the Temple Mount remains a top priority for other nationalist MKs as well.”The association accused police of continuing to violate Jewish rights at the site. “The police, who cannot prevent MK Feiglin from entering anymore, did indeed allow him to enter the Mount this time, but in order to prevent media attention to his visit they did not let the rest of his group, around twenty people, enter with him,” sources in the group accused.Jews have the right, protected in law, to visit their holiest site, they added. “The police will not be able to harass upright citizens who did nothing wrong indefinitely. Ultimately the police will be forced to recognize the new trend of Jews putting the Temple Mount first – as MK Feiglin did,” they warned. Dow -13 points at 4 minutes of trading today. Dow -26 points at low today. Dow +6 points at high today so far. GOLD opens at $1,677.80.OIL opens at $97.73 today. Dow -44 points at low today so far. Dow +7 points at high today so far. Dow -44 points at low today. Dow +7 points at high today. Peter Lee, Record staff 250 Frederick St., where a female torso was found in a garbage bin on Saturday. The homicide victim has been identified as Kelsey Louise Felker, 24, of Kitchener. KITCHENER – Police have identified the dismembered remains found in a garbage bin as those of a 24-year-old Kitchener woman.Kelsey Louise Felker has been confirmed as the homicide victim. Police said information from the public regarding the black T-shirt that was worn by the victim was an important factor in identifying the remains.The torso was found covered in a T-shirt with the slogan “Forget princess, I want to be a vampire.”The post mortem examination into the cause of death is continuing.The police command post remains at the apartment building at 250 Frederick St. where the remains were discovered on Saturday. 40 And the King shall answer and say unto them, Verily I say unto you, Inasmuch as ye have done it unto one of the least of these my brethren,(ISRAELIS) ye have done it unto me. 11 And the angel of the LORD said unto her, Behold, thou art with child, and shalt bear a son, and shalt call his name Ishmael;(FATHER OF THE ARAB/MUSLIMS) because the LORD hath heard thy affliction. According to Maariv, Netanyahu told a visiting delegation from the American Jewish Committee that only US military action could completely halt Iran's nuclear program, which Israel and much of the world believes is a guise for building a weapons capability, AFP reported.And he also hinted that any US military activity ought to be carried out before Tehran finishes the process of enriching uranium to 20 percent purity, the paper said. "The sanctions are only likely to stop Iran if there is a credible (military) threat over their head... and in order for it to be a credible threat, you need to mean it, meaning that if the sanctions don't work -- and they haven't until now -- you will use it," he said.Referring to a military strike, Netanyahu described it as "a defined and specific mission that the United States is capable of carrying out perfectly whereas we are capable of causing (only) significant damage. "He also stressed the need to halt Iran's ongoing enrichment efforts. "We must prevent the completion of the enrichment process," he said in a likely reference to the process of enriching uranium up to 20 percent, one step before military grade uranium.Should Tehran complete that process, "Iran would have enough enriched material to build a bomb in a short time," he said.He also said the window of opportunity to stop Iran through diplomatic and economic means was about to close and that 2013 would be a decisive year, Maariv said.Israel has consistently refused to rule out a resort to military action to prevent Iran developing the capability to build a nuclear weapon.But Tehran denies any such ambition, insisting its civilian nuclear program is for peaceful power generation and medical purposes only. Amid rumors of Hamas involvement in support of Egypt’s President Mohammed Morsi, a Gaza newspaper has accused a Coptic Egyptian organization of fabricating the reports in order to incite against the Islamic leaders of the Gaza Strip.Earlier this week, Egyptian media reported that 7,000 Hamas operatives had infiltrated the country through tunnels from Gaza to support Morsi’s ruling Freedom and Justice party, which is currently facing a massive popular uprising in the Suez region.Hamas officials were quick to deny the Egyptian accusation.Moussa Abu-Marzouq, deputy head of Hamas’s political bureau, wrote on his Facebook page that he was sorry that his organization and the Palestinians were being used as a tool in a domestic Egyptian conflict.Hamas, Abu-Marzouq added, “stands at an equal distance from all political parties in Egypt.”Hamas spokesman Fawzi Barhoum issued a statement calling the Egyptian reports “lies,” which he said aimed at “driving a wedge between Egypt and Palestine and ruining the reputation of Hamas and its fighting brigades.”To add credence to the official denials, Hamas’s Gaza-based newspaper Felesteen on Tuesday published an investigative report exposing the “secret” of the Egyptian organization behind the anti-Hamas publications.Reportedly, a Coptic organization called the Justice and Development Organization for Human Rights, based in Upper Egypt, was behind the incitement campaign. The organization, Felesteen charged, even supported the visit of Egyptian opposition activist Maikel Nabil to Israel.Abdel Bari Atwan, editor-in-chief of the Arab nationalist daily Al-Quds Al-Arabi, which focuses on Palestinian issues, claimed in an op-ed Wednesday that the Egyptian reports were simply an attempt to victimize Palestinians, the default “weakest link” of the Arab world.“The choice of Hamas… is a meticulously calculated one. The movement is Islamist and affiliated with the Brotherhood, very close to the mother organization in Egypt,” wrote Atwan. “Therefore, its current demonization is welcomed by certain circles in Egypt which are angry at the Brotherhood and wish to topple Dr. Morsi.”Hamas doesn’t have 7,000 fighters, Atwan added, and even if it did — they could not cross the entire Sinai Desert unnoticed by Egypt’s security forces. Moris's words are the icing on the cake for the wake in memory of the 'two-state solution'. David Singer -David Singer is an Australian lawyer who is active in Zionist community organizations in that country. Any hope of a negotiated two-state solution being achieved under the Oslo Accords and the Bush Road Map has been blown away following the publication of statements made by Egyptian President Mohamed Morsi in September 2010 - which have recently surfaced and come back to haunt him in January 2013.President Obama must rue the day he made the following reported comment in the New York Times after the Gaza ceasefire on November 21:“Mr. Obama told aides he was impressed with the Egyptian leader’s pragmatic confidence .. He sensed an engineer’s precision with surprisingly little ideology.”To the contrary - Morsi's 2010 statements reveal a great deal of ideology concerning the two-state solution and Jews.Morsi's scathing and dismissive comments were made on 23 September 2010 (as reported by MEMRI - the Middle East Media Research Institute) "These futile [Israeli-Palestinian] negotiations are a waste of time and opportunities. The Zionists buy time and gain more opportunities, as the Palestinians, the Arabs, and the Muslims lose time and opportunities, and they get nothing out of it. We can see how this dream has dissipated. This dream has always been an illusion... This [Palestinian] Authority was created by the Zionist and American enemies for the sole purpose of opposing the will of the Palestinian people and its interests. "No reasonable person can expect any progress on this track. Either [you accept] the Zionists and everything they want, or else it is war. This is what these occupiers of the land of Palestine know – these blood-suckers, who attack the Palestinians, these warmongers, the descendants of apes and pigs.This tirade had been preceded by the following statements made by Morsi on Al-Quds TV (Lebanon) March 20, 2010:"The Zionists have no right to the land of Palestine. There is no place for them on the land of Palestine. What they took before 1947-8 constitutes plundering, and what they are doing now is a continuation of this plundering. By no means do we recognize their Green Line. The land of Palestine belongs to the Palestinians, not to the Zionists"We must confront this Zionist entity. All ties of all kinds must be severed with this plundering criminal entity, which is supported by America and its weapons, as well as by its own nuclear weapons, the existence of which is well known..."We want a country for the Palestinians on the entire land of Palestine, on the basis of [Palestinian] citizenship. All the talk about a two-state solution and about peace is nothing but an illusion, which the Arabs have been chasing for a long time now. They will not get from the Zionists anything but this illusion." The publication of these remarks elicited the following mealy-mouthed response from the White House.“We strongly condemn the remark that then-Muslim Brotherhood leader Morsi made in 2010. The language that we have seen is deeply offensive. We completely reject these statements, as we do any language that espouses religious hatred. This discourse–this is a broader point–this kind of discourse has been acceptable in the region for far too long and it’s counter to the goal of peace. "President Morsi should make clear that he respects people of all faiths, and that this type of rhetoric is not acceptable or productive in a democratic Egypt. Since taking office President Morsi has reaffirmed Egypt’s commitment to its peace treaty with Israel in both word and deed, and has proven willing to work with us towards shared objectives including a ceasefire during the crisis in Gaza last year. These commitments are essential to our bi-lateral relations with Egypt as well as for stability in the region.”Morsi has so far not obliged the White House.Why should he? The negotiations have failed - despite offers by Israel in 2000/2001 and 2008.Morsi's prescription for curing such failure is a recipe for disaster.Pursuing a proposal so vigorously opposed by Egypt seems to be the height of stupidity. It cannot and will not eventuate in the face of such opposition. Unphased by this development - the following statement was made last week following a meeting in Perth of AUKMIN - the Australia-UK Ministerial Consultations attended by Australia's Foreign Minister Senator Bob Carr, the Australian Minister for Defence – Stephen Smith- and the UK Foreign and Defence Secretaries, William Hague and Philip Hammond.“The Palestinian Authority and the new Israeli government must engage seriously in negotiations without preconditions. Actions by both sides must be in the interests of peace. Neither side should create obstacles to that objective”The obstacle to engaging in such negotiations is pretty basic – the PA is dead and buried since it was decreed out of existence by Mahmoud Abbas on 3 January.Compounding their gaffe the Ministers continued:” We call on the Palestinian Authority to exercise restraint and avoid provocative actions at international forums.”The PA has vanished into thin air – no longer able to cause or avoid provocative actions and will no longer be seen at international forums.This inescapable fact and the revelation of the Morsi statements seem to be of no consequence to these Ministers.They are in good company with President Obama - whose spokesman Jay Carney had this to say on 23 January:"We believe that what needs to take place is direct negotiations between the two parties that address the final-status issues and that result in a two-state solution that provides the sovereignty that the Palestinian people deserve and the security that the Israeli people and Israel deserves"The expectation that Israel could give the Palestinian Arabs what they themselves were never prepared to accept between 1948-1967 - has proved impossible to achieve.The restoration of the status quo that existed at 5 June 1967 - so far as can now occur given the changed circumstances on the ground - remains their last hope.This will involve negotiations between Israel, Jordan and Egypt to allocate sovereignty in the "West Bank" and Gaza between their respective States and the abandonment of the two-state solution.Given Morsi's extreme views - the time for any negotiations involving Egypt might need to be put on hold - whilst negotiations with Jordan on the return of part of the "West Bank" to its last Arab occupier are attempted.One thing is certain - a change of course is urgently required - or we will all suffer from the ensuing shipwreck that is staring us in the face.Flogging a dead horse is not a good idea since the stench emanating from the decomposing body will soon become too overpowering. 10 And in that day (WHEN JESUS IS RULING ON EARTH AT THE END OF THE 7 YEAR TRIBULATION PERIOD) there shall be a root of Jesse, which shall stand for an ensign of the people; to it shall the Gentiles seek: and his rest shall be glorious. CAIRO/BERLIN (Reuters) - German Chancellor Angela Merkel urged Egypt's Islamist president on Wednesday to open a dialogue with all political forces in the crisis-ridden Arab country after a week of violence that has killed more than 50 people.President Mohamed Mursi flew to Germany to try to convince Europe of his democratic credentials, but in a sign of the political tensions back home, he restricted his trip to a few hours and canceled a planned Paris leg. "One thing that is important for us is that the line for dialogue is always open to all political forces in Egypt, that the different political forces can make their contribution, that human rights are adhered to in Egypt and that of course religious freedom can be experienced," Merkel told Mursi at a joint news conference.The Egyptian leader, who has faced months of protests by liberal and youth groups opposed to a new Islamic constitution, replied that dialogue was possible and that Egypt would be a state based on the rule of law, not run by the military.But he refused to give a commitment sought by the opposition to form a national unity government, saying that would be for the new parliament to decide after elections expected in April.Two more protesters were shot dead before dawn near Cairo's central Tahrir Square on the seventh day of what has become the deadliest wave of unrest since Mursi took power in June. The army chief warned on Tuesday that the state was on the brink of collapse if Mursi's opponents and supporters did not end street battles that have marked the two-year anniversary of the revolt that toppled autocrat Hosni Mubarak.Mursi is due to return to Cairo later in the day.Near Tahrir Square on Wednesday morning, dozens of protesters threw stones at police who fired back teargas, although the scuffles were brief. "Our demand is simply that Mursi goes, and leaves the country alone. He is just like Mubarak and his crowd who are now in prison," said Ahmed Mustafa, 28, a youth who had goggles on his head to protect his eyes from teargas.Opposition politician Mohamed ElBaradei called for a meeting of the president, ministers, the ruling party and the opposition to halt the violence. But he also restated the opposition's precondition that Mursi first commit to seeking a national unity government.Mursi's critics accuse him of betraying the spirit of the revolution by keeping too much power in his own hands and those of his Muslim Brotherhood, the Islamist movement banned under Mubarak which won repeated elections since the 2011 uprising. Mursi's supporters say the protesters want to overthrow Egypt's first democratically elected leader. The unrest has prevented a return to stability ahead of parliamentary elections due within months, and worsened an economic crisis that has seen the pound currency tumble in recent weeks.The worst violence has been in the Suez Canal city of Port Said, where rage was fuelled by death sentences passed against soccer fans for deadly riots last year. Mursi responded by announcing on Sunday a month-long state of emergency and curfew in Port Said and two other Suez Canal cities.Protesters have ignored the curfew and returned to the streets. Human Rights Watch called for Mursi to lift the decree.Mursi was keen to allay the West's fears over the future of the most populous Arab country in his meetings with Merkel and powerful industry groups in Berlin.